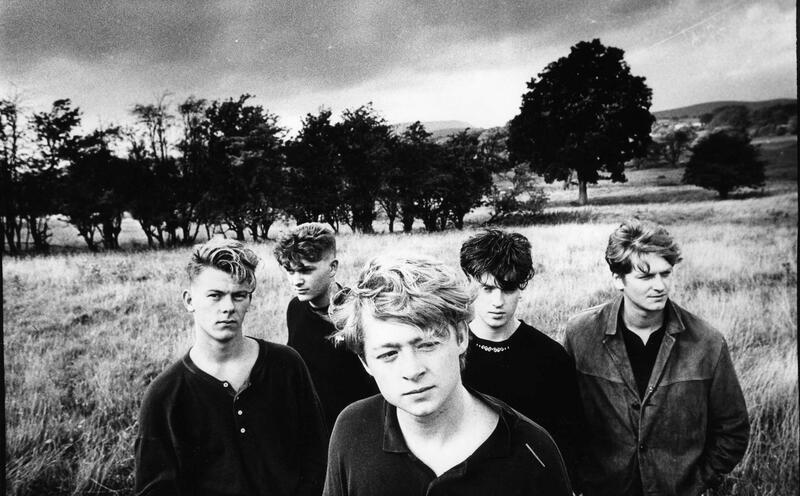 From Colne in Lancashire, the Milltown Brothers first burst onto the indie scene in 1989 with the ‘Coming From The Mill EP’ getting single of the week in NME. Second indie single ‘Which Way Should I Jump’ started a bidding war between the majors. Signing to A&M worldwide in 1990, WWSIJ was re-recorded & broke into the UK charts at Number 38. America liked it & put it to Number 10 in the US Rock Chart. The album – Slinky – was a revelation and pushed the boundaries for their peers. Defying the critics who had incorrectly labelled them as baggy the MBs delivered an absolute classic album of catchy, punchy songs, perfectly paced & well-balanced. Disaster struck with the release of their next single ‘Here I Stand’. Playing 3 times a day in independant record shops up & down the country for weeks before the release, the appearances helped the single achieve a predicted entry into the Top 20. The UK Record Industry however, due to the volume of sales from the shops played in, decided to ‘weight’ the single, fearing chart-rigging. The single missed entry into the charts (along with a planned TOTP performance) & peaked at Number 41. A&M bottled it & despite new material being ready for release that year – they put the band ‘on the shelf’ for 2 years and eventually picked the songs for their 2nd studio album – ‘Valve’. The album fared less well than Slinky, receiving average reviews. With a generally disappointing choice of songs, time has since shown that a dynamite second album could have been released, had the band been allowed to go their own way. After years of contractual exile, a tour which received no advertising & singles released which the band did not even want on an album – the band walked from A&M. It took 10 years for the band to work together again & in March 2004, they released their third studio album – Rubberband. Critically acclaimed & probably their finest release, Rubberband came out on their own label and was made available via the website at http://www.milltownbrothers.co.uk. Playing to their strengths, it once more demonstrated their head for melody, band dynamic & Matt Nelsons strongest set of songs yet heard. Described in Record Collector as ‘a faultless third album’, it is one of few truly great UK band albums to be released since 2000.